An Oregon woman discovered that her Amazon device was sending her private chats by email to her husband's employee when he called and warned her, "You're being hacked." 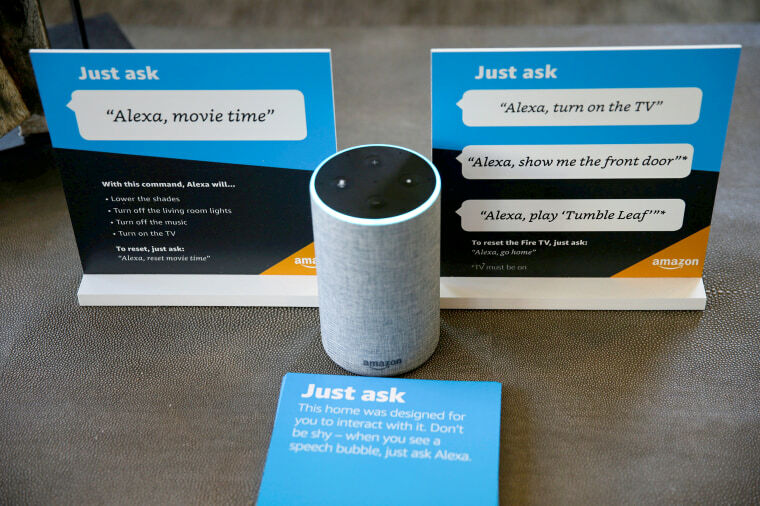 That’s the order a woman from Portland, Oregon, probably wishes she had delivered sooner after discovering that the voice-controlled Amazon devices in her house had been secretly recording private conversations with her husband — and sharing them with a random contact 176 miles away in Seattle. The woman, identified in the interview only as Danielle, said she and her husband had an Echo Dot speaker in every room of their house and used them to control the lights, heating and security systems. “My husband and I would joke and say, 'I bet these devices are listening to what we’re saying,' ” Danielle said. Danielle said they did not believe it. “At first, my husband was like, ‘No you didn’t,’ ” she said. So the caller gave them a snippet. Alexa quickly got the boot. “We unplugged all of them and he proceeded to tell us that he had received audio files or recordings from inside our house,” she told the TV station. Danielle said her next call was to Amazon, where an engineer confirmed what happened, said it was rare, and apologized “like 15 times in a matter of 30 minutes.” She said Amazon offered to tweak her system so she could continue using the smart-home features of the Echo Dot, but she wants it out of her house and her money back. “A husband and wife in the privacy of their home have conversations that they’re not expecting to be sent to someone (in) their address book," she said. "Echo woke up due to a word in background conversation sounding like 'Alexa.' Then, the subsequent conversation was heard as a 'send message' request. At which point, Alexa said out loud, 'To whom?' " Amazon said.